Taking a proactive approach to your online security can help you avoid becoming a victim. Start by familiarizing yourself with these computer security terms. Understanding them can help you recognize a cyber threat — and can also help you protect your computer from one. Adware is software that displays advertisements on your computer. It can take various forms, but is often a popup ad or an ad displayed in a sidebar in your browser. Typically, adware is more of an annoyance than a security risk, but in some cases it could be monitoring your online browsing activities and relaying that data to a third party. Antivirus software monitors your computer to find and block malicious programs like viruses. McAfee and Norton are two popular antivirus software packages. To protect your computer against new viruses, it’s important to regularly update your antivirus software. Encryption transforms plaintext (readable data) into ciphertext — which is unreadable without an encryption password. Once the user enters the correct encryption password, the text is decoded. Consider using a secure email service like GhostMail to encrypt the content of your sensitive messages. A firewall creates a barrier between the internet and your computer to help block hackers, viruses and other threats. Many security suites — like Symantec, Norton, Security Premium and Bitdefender Total Security — include firewall protection. A hacker is any unauthorized user who gains access to private data. While hacking can be used for many purposes, some criminal hackers purposefully disrupt or permanently damage an individual computer or an entire network of computers. Hacking attacks cost the average American company more than $7 million per year. Keylogger software is a type of spyware that records information about your computer keyboard activities — such as your internet browsing, emails, and instant messages — and then sends the data to a third party. Short for “malicious software,” malware is an umbrella term used to describe software or code that’s designed to damage a computer or collect information from it. Adware, Trojans, and spyware are examples of malware. Phishing is a scam where cyber criminals send victims an email that appears to be from a legitimate business or organization. The email convinces the victim to disclose sensitive information such as their date of birth or account numbers, which the criminal often uses to steal their identity. SMiShing is a fraud that’s similar to phishing, but the victim is baited through bogus text messages rather than through email. A security patch is used to fix software or operating-system vulnerabilities that hackers could use to infect computers with a virus or another type of malware. It’s best to set up your computer to check for security patches automatically, but you can also go to the software maker’s website and manually download them. Spyware is a type of malware that’s used to monitor your activities, collect specific data, and communicate this information to a third party. Spyware can capture everything from screenshots to passwords and emails. SSL is a network security protocol that secures information traveling over the internet. Websites that start with “https” use an SSL connection to help keep user information safe. A Trojan is a type of malware that appears legitimate or useful — but once it’s installed, a Trojan can allow cyber criminals to do things like delete or modify your data, steal sensitive information, or disrupt your computer’s performance. Most Trojans are delivered through emails, online services, and downloads such as free games and music. A virus is a self-replicating type of malware designed to corrupt or modify your computer’s programs and files. In some cases, a virus can slow your computer’s performance or stop it from working altogether. Viruses are spread in various ways, but one of the most common is through infected email attachments. Before opening any email attachment (even one from someone you know), contact the sender and confirm its legitimacy. PII, also referred to as sensitive personal information , is any information that can be used on its own — or in tandem with other information — to identify, locate, or contact a person. Driver’s license numbers, Social Security numbers, and home addresses are a few examples of PII that are often used to perpetrate identify theft. Use extreme caution when providing PII online, and, for extra security, disable auto-fill settings on your web browser. Once you’ve familiarized yourself with these terms, protect yourself further by following basic computer security practices and learning about current online threats and scams. We kicked off a cloud series called, “Unlock the Cloud” yesterday. In this blog, we talk about established and emerging cloud services that are contributing to the dramatic 19.4% compound annual growth rate in public cloud services spending, from $70 billion in 2015 to $141 billion by 2019. Many enterprises are juggling three primary “as-a-service” categories to best scale their business and IT service delivery via the cloud: Infrastructure-as-a-Service (IaaS), Platform-as-a-Service (PaaS) and Software-as-a-Service (SaaS). These services enable organizations to build, deploy and buy virtualized computing resources using more cost-effective, pay-as-you-use pricing models that have changed the way companies everywhere are consuming IT. Here’s a look at all three and some of their data-driven, cloud storage offshoots. Imagine an IT service delivery infrastructure that you don’t have to purchase, house, manage or update. IaaS makes all of your physical and virtual computing resources (compute, storage, operating systems and to some extent networking, etc.) accessible as you need them. The main benefit is you can still design and control the IT infrastructure you want without investing heavily in CAPEX and OPEX. PaaS falls somewhere in between SaaS and IaaS. What makes it distinct is that it enables you to develop and deploy applications using the programming languages, libraries, services, and tools supported by the PaaS provider to bring products and services to market faster. So application developers don’t have to worry about available computing resources because they can leverage the PaaS provider’s IaaS environment, as well as its SaaS-like application development tools and hosting services. Don’t want the expense or hassle of deploying and revving applications? Then SaaS is the way to go. Companies don’t need to own or maintain software applications, and updates can be delivered in real time versus waiting for them to be pushed out by IT. Just run a thin-client or Web browser on your device of choice to access a wealth of applications over the Internet as needed (Yes, there’s an app for that!). Much of the confusion around these services is rooted in the fact that many cloud providers now offer all three. That makes it almost impossible to differentiate each type of service by provider. The real work for your business will be to decide which services and providers best match the workloads you are trying to support. STaaS (Storage-as-a-Service) – You’re using SaaS if you are storing photos from your smartphone or sharing documents with other users. As the amount of data increases and storage costs rise exponentially, parking portions of your personal and business storage in the cloud is inevitable. DBaaS (Database-as-a-Service) – The complexity of database management often requires a team of database administrators to select and maintain single or multiple database platforms, and continuously optimize them. DBaaS eliminates the need for costly management resources and storage infrastructure by placing the burden on the DBaaS provider. DRaaS (Disaster-Recovery-as-a-Service) – DRaaS eliminates the muss, fuss and cost of physically creating and maintaining a geographically separate data center for disaster recovery. It replicates your data center resources in the cloud and makes them available when you most need them. If you don’t need to completely replicate your IT infrastructure, but want to still protect your data, then consider BaaS (Backup-as-a-Service). In this new “there’s a service for that,” world, choosing the best cloud services will depend on your workloads, and connecting to that service will depend on your cloud interconnection strategy. Stay tuned for upcoming “Unlock the Cloud” articles to learn more. By 2018, at least according to a Gartner report half of the IT spending will be cloud based. So I thought I would write a series of articles on “Unlock the Cloud”. We will tackle cloud terms widely used, but often misunderstood: public, private, hybrid and multi-cloud. We will look at Cloud Services, and Cloud interconnection strategies. The word “cloud” defines shared, automated hardware or software services that offer customers a high degree of resource scalability, elasticity and self-service. Using the cloud is a lot like using a utility like electricity. Rather than spending a lot of time, capital and resources purchasing, configuring and managing their own hardware and software, customers provision, orchestrate and scale IT resources in the cloud, paying for only what they use, when they use it. Public Cloud: Do you need a quick, cost-efficient way to ramp up and down software test beds, offload applications such as e-mail or customer relationship management, or cover seasonal spikes in customer usage? Consider using a public cloud service. A public cloud describes a third-party provider of infrastructure, platform, storage or application cloud services ̶ such as Amazon Web Services (AWS), Microsoft Azure, Dropbox or Salesforce. These services rent shared hardware and/or software resources to organizations and individuals as a pay-as-you-play service. Public cloud services also come in a variety of types, which we will discuss in another post. Private Cloud: Do your in-house customers need the agility and elasticity advantages of the public cloud, but with more stringent control, customization, security and compliance capabilities? Consider a private cloud, which may be managed by your organization or an outside service via a private network connection, with hardware and software specifically assigned to your organization only. Private clouds allow more customization than public clouds. However, private clouds may require a lot of organizational investment up front and internal IT resources to run. As with public clouds, private cloud resources are shared among internal departments and users, allowing users to self-provision and scale hardware or software resources as needed. Private clouds that are shared among different organizations in a closed environment, such as agencies in a state government, are sometimes called a community cloud. Hybrid Clouds: Are you looking for the best of both clouds? Hybrid clouds combine at least one public and private cloud to deliver a particular IT service(s). Organizations may want to run an application entirely or partially in the public cloud but keep its sensitive data in a more secure private cloud. Or they may run an application internally, but “burst” it out automatically to a public cloud during peak demand periods. The latter is very cost-efficient, making it unnecessary to purchase and manage all the necessary hardware and software real estate for those occasional peak loads. Multi-cloud describes a number of public and/or private cloud services used to deliver a single enterprise service, such as big data analysis or applications with multiple components. Hybrid clouds are a subcategory of multi-cloud, which has become a popular choice with enterprises. Nearly half of the respondents that were surveyed are currently pursuing a multi-cloud strategy. By 2020, 86% of those companies will have deployed multiple clouds across multiple locations. 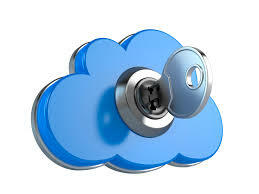 “The Cloud” can be confusing but we will continue to offer clarity in this series on “Unlock the Cloud”. WICHITA, Kan. A hospital held hostage by hackers and denied access to its files until it pays a ransom. It’s a crime that’s been reported across the country, and now it’s happened in Wichita. It’s called “ransomware” – hackers hijack your computer and hold the data until you pay up. The Kansas Heart Hospital is the latest victim of this attack. “Kansas Heart Hospital had a cyber attack occur late Wednesday evening,” Duick said. “We suspect, as attacks other parts of the country, this was an offshore operation,” he said. Duick says hackers holding hospital files hostage is very common. “Upwards of 45% of hospitals have received some kind of cyber attack. And multiple hospitals had additional attacks,” he said. About 9pm Wednesday, a hospital employee lost access to files. Hackers got into the system, and locked up the files, refusing to give back access unless the hospital paid up. “I’m not at liberty because it’s an ongoing investigation, to say the actual exact amount. A small amount was made,” Duick said. “That plan went into immediate action. I think it helped in minimizing the amount of damage the encrypted agent could do,” Durick said. “The patient information never was jeopardized and we took measures to make sure it wouldn’t be,” he said. Durik also says the attack never impacted patient treatment and will help the hospital strengthen its response to future hackers. Ransomware is so common that many hospitals, Kansas Heart, have insurance to help cover costs of cyber extortion. The hospital is working with it’s IT team and security experts restore the rest of the system. Hospitals have become a favorite target of the ransomware scam. Earlier this year 10 Medstar facilities in the Washington region were part of a cyber attack that prompted the health care provider to shut down it’s computer system. Also in February a California hospital paid $17,000 in ransom to regain access to its medical records. Pretty entertaining video exposing all the physical and network security issues from a team of ethical hackers. YouTube A power company in the Midwest hired a group of white hat hackers known as RedTeam Security to test its defenses. Wells Fargo has also fired back and blamed BDA’s information security policies and procedures for the heist and noted that it “properly processed the wire instructions received via authenticated SWIFT messages,” according to court documents. In February, $81 Million cyber heist at the Bangladesh central bank was carried out by hacking into SWIFT using a piece of malware that manipulated logs and erased the fraudulent transactions history, and even prevented printers from printing those transactions. WASHINGTON (Reuters) – Cyber security is the biggest risk facing the financial system, the chair of the U.S. Securities and Exchange Commission (SEC) said on Tuesday, in one of the frankest assessments yet of the threat to Wall Street from digital attacks. White said SEC examiners were very pro-active about doing sweeps of broker-dealers and investment advisers to assess their defenses against a cyber attack. “We can’t do enough in this sector,” she said. Cyber security experts said her remarks represented the SEC’s strongest warning to date of the threat posed by hackers. Under White, a former federal prosecutor, the SEC introduced an initiative called “broken windows” designed to crack down on small violations of SEC rules to deter traders and others from larger transgressions. But critics have questioned whether the initiative, similar to one used by former New York City Mayor Rudy Giuliani in his crackdown on crime in the city, is an effective use of the agency’s limited resources. The policy has been applied to instances of “rampant non-compliance” involving serious, significant rules, White said, noting that she considers the initiative a huge success. For example, the SEC brought three groups of cases in a key area, the prohibition against short selling ahead of an IPO by individuals who then participated in the IPO, since 2013, she said. Each year, there have been fewer cases, with the most recent number at around 12, White said. Companies are increasingly using non-Generally Accepted Accounting Principles, or non-GAAP, to report earnings, permitting them to back out certain expenses from earnings figures, such as non-cash costs. But critics say the practice can also mislead investors by creating a rosier picture of a company’s profits. Non-GAAP “is not supposed to supplant GAAP and obviously not obscure GAAP,” she said. For months now, the SEC has only had three commissioners, down from its full complement of five, and the U.S. Congress has stalled on confirming two nominees. “We’re really functioning on all cylinders,” White said, ticking off a list of projects the commission has recently completed. She added that, to comply with rules on meetings and disclosures, commissioners typically meet one-on-one.